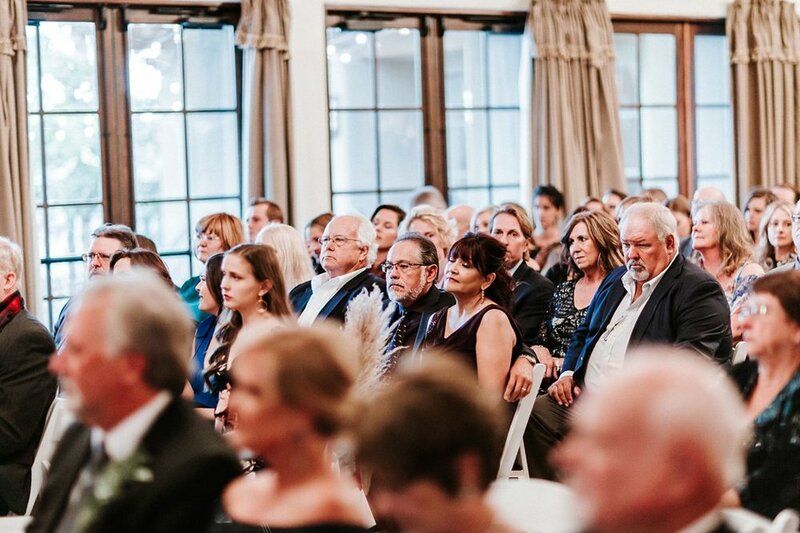 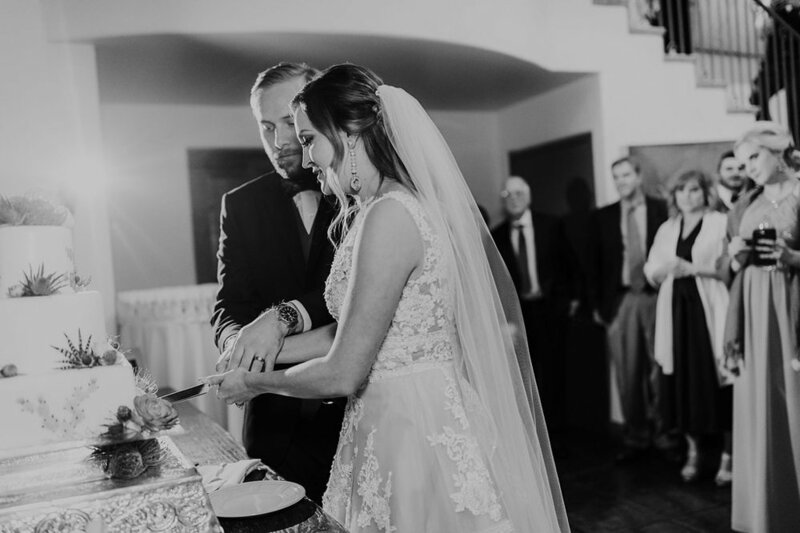 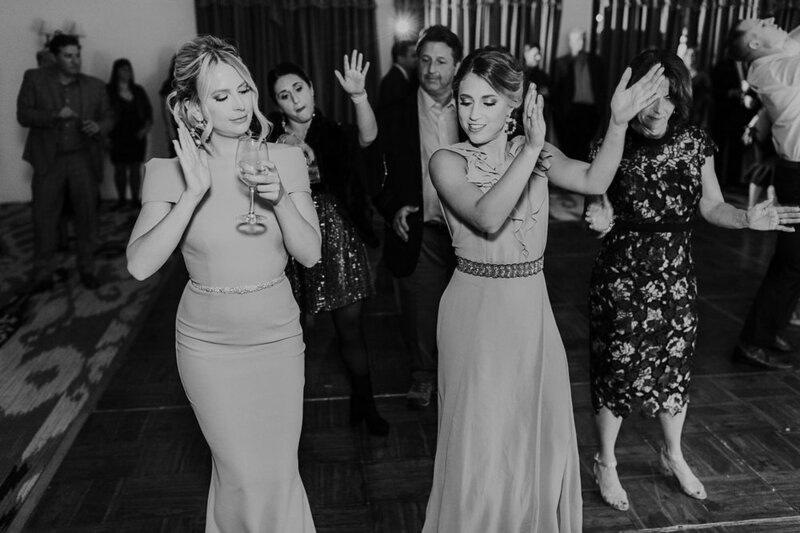 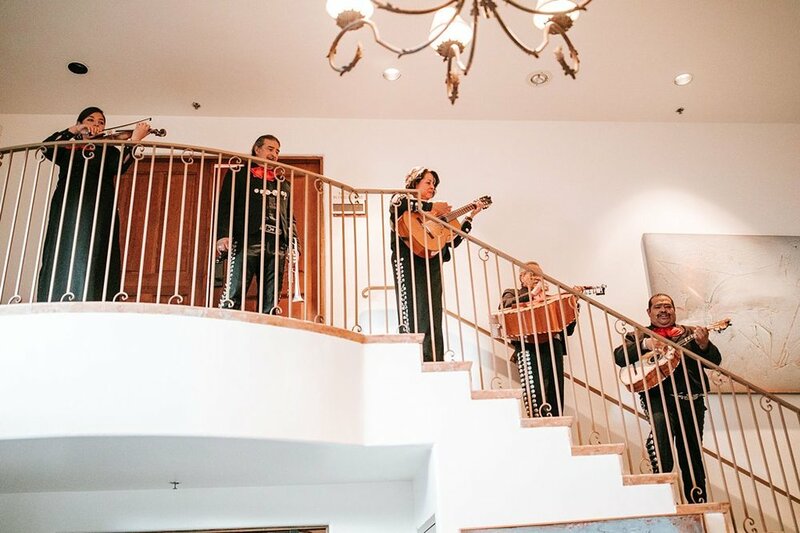 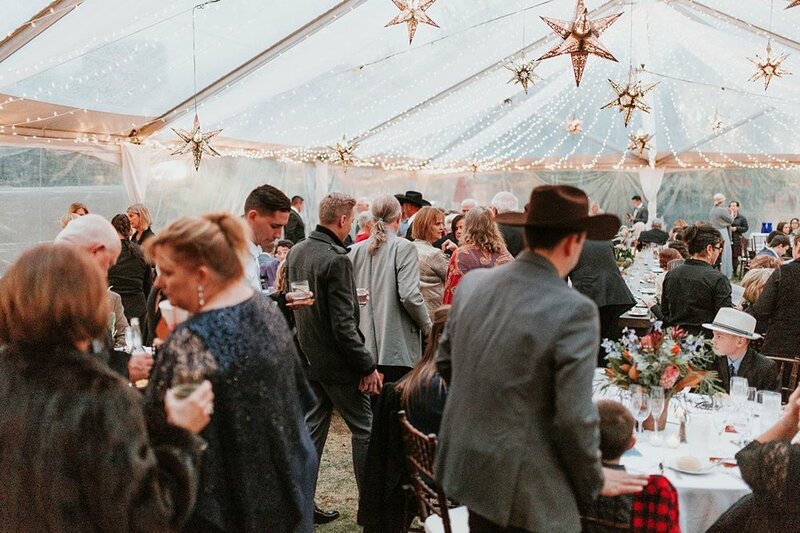 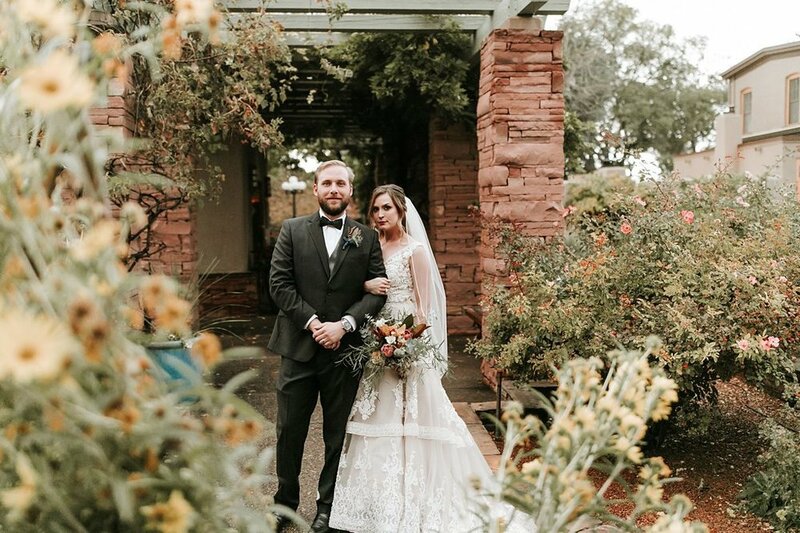 This October, we went back to one of our all time favorite venues, La Posada de Santa Fe, for an unforgettable Sunday wedding with Texas lovers Tyler and Cassie. 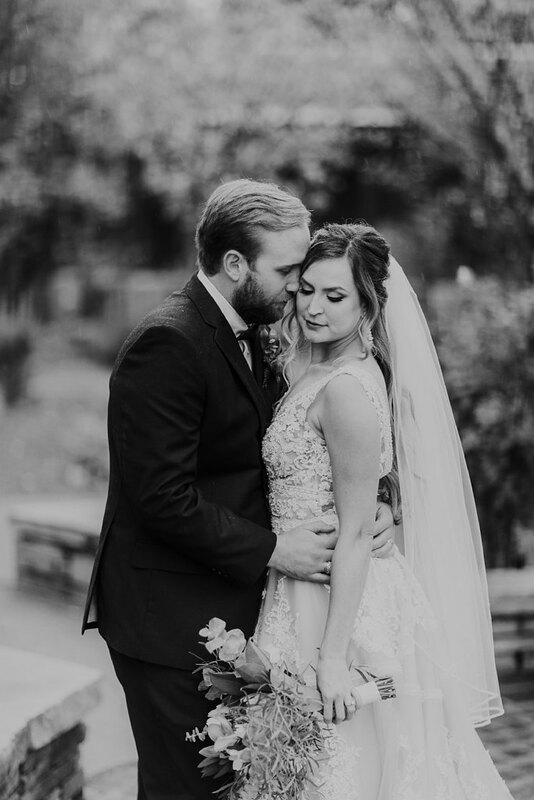 It may have been an unusually chilly and rainy day, but these babes brought the heat on their special day. 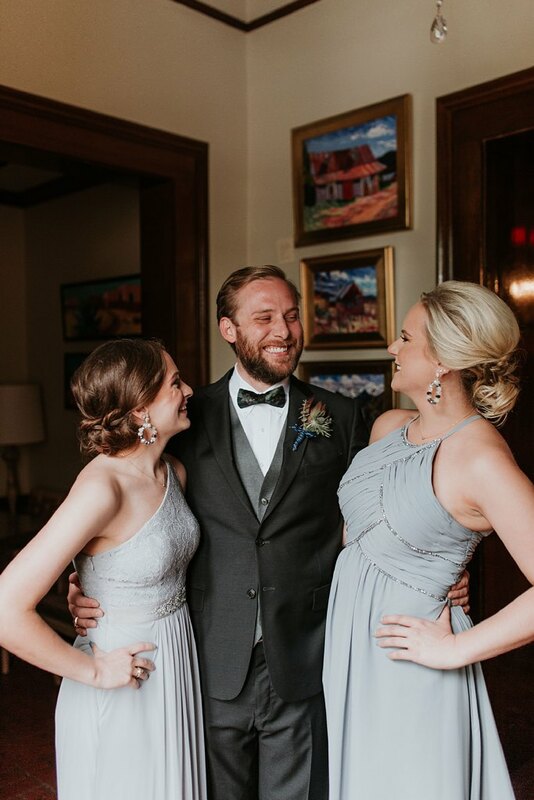 Tyler and Cassie’s darling little love story began when Cassie’s sister, Lexi, set them up on a group date (just knowing that they would be perfect for each other)! 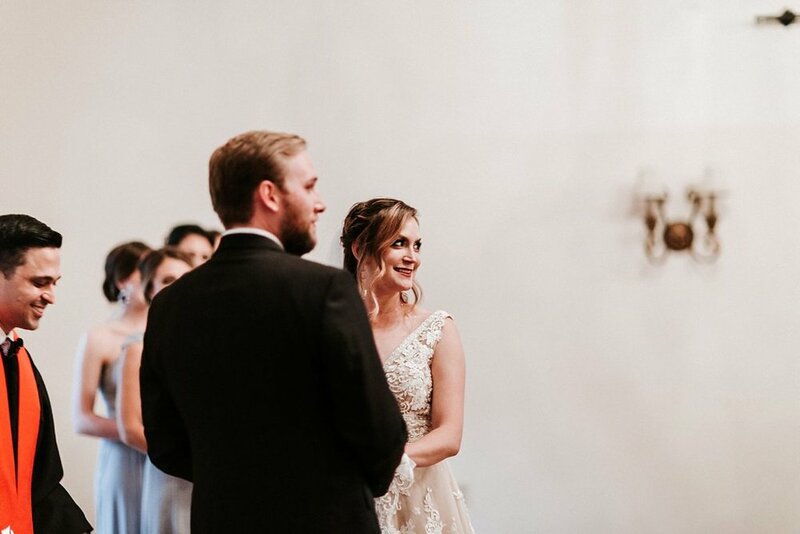 In early 2018, Tyler proposed in the town square of Mesilla, NM on a random Monday so that Cassie would be completely surprised. 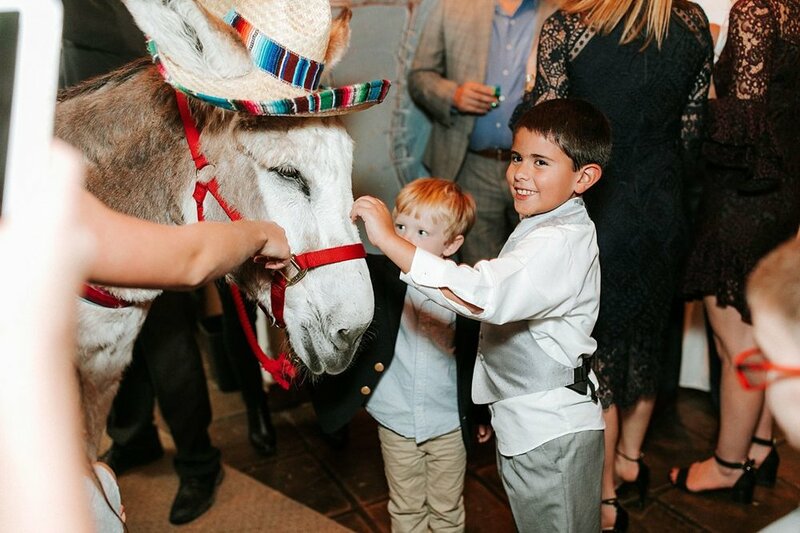 Afterwards, their families celebrated with them at La Posta (aka Cassie’s fave restaurant). 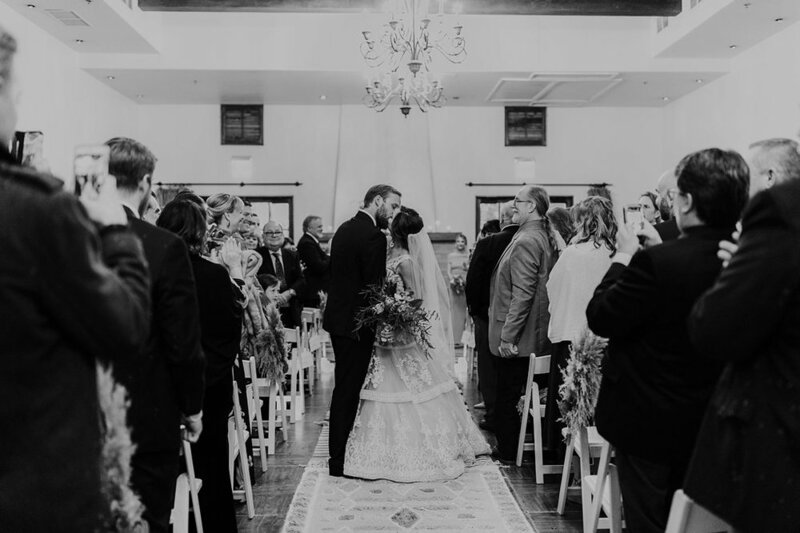 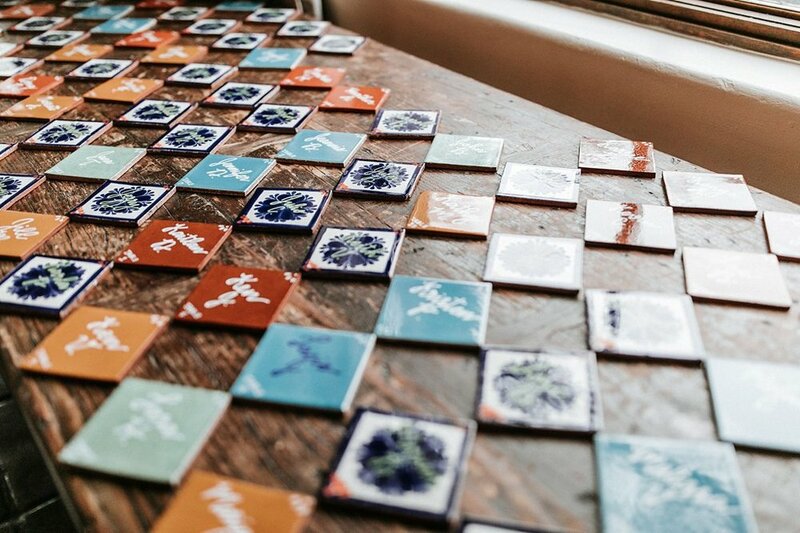 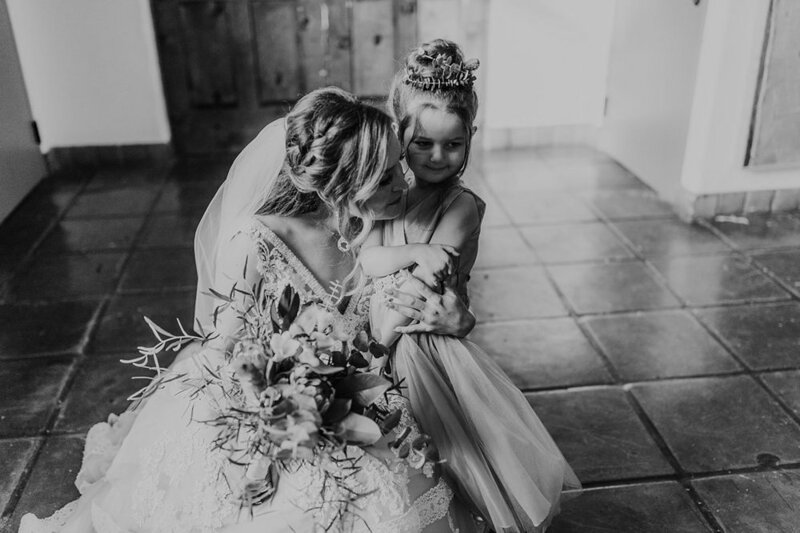 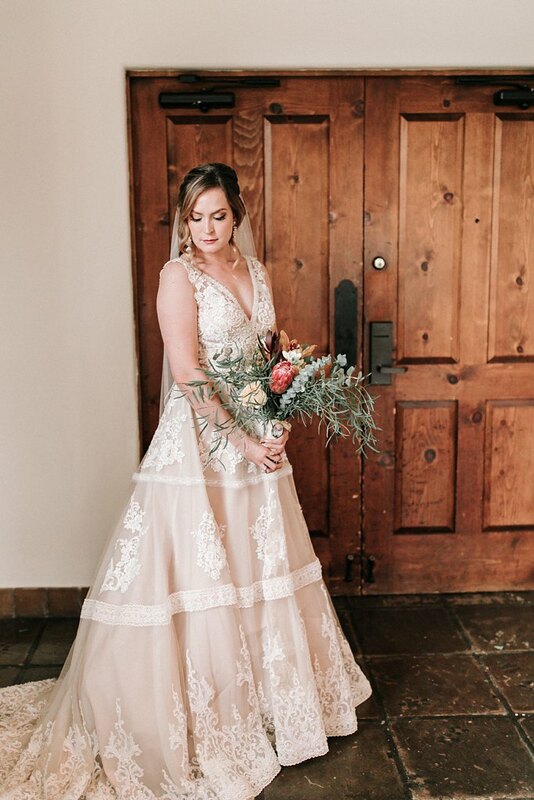 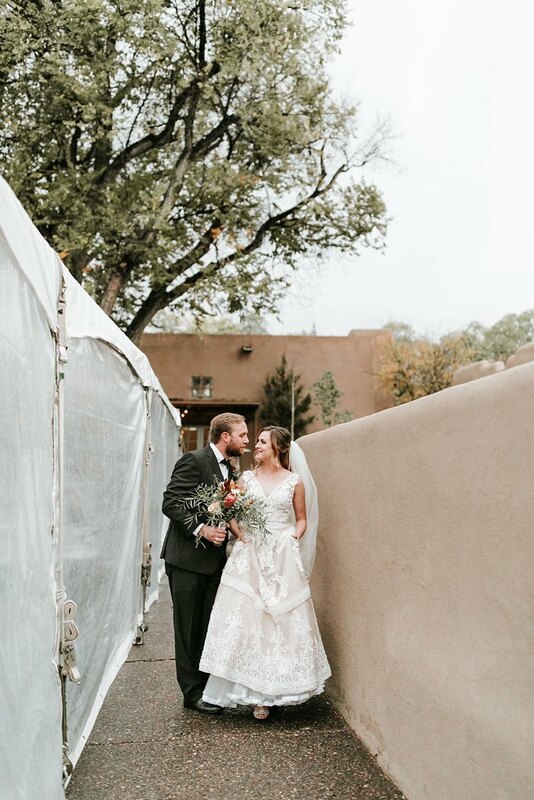 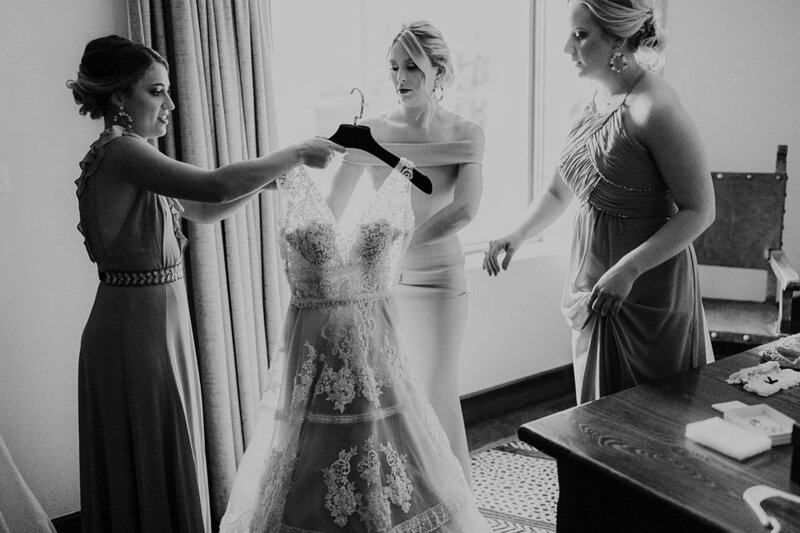 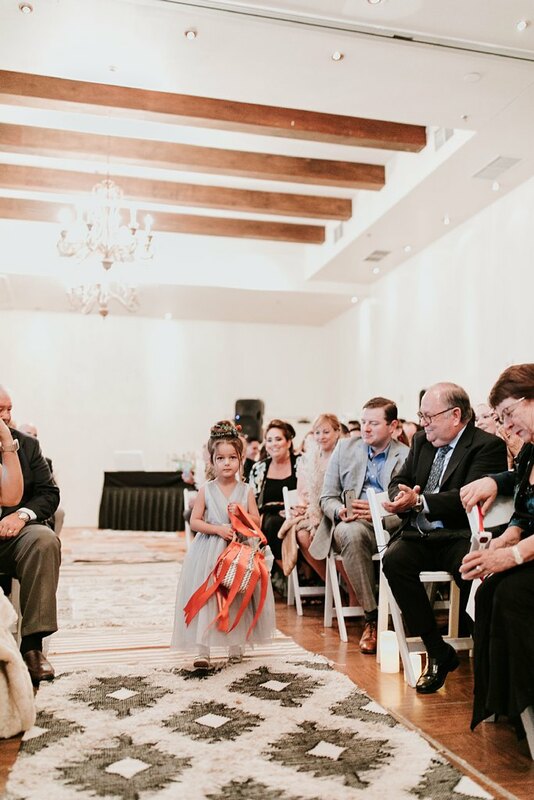 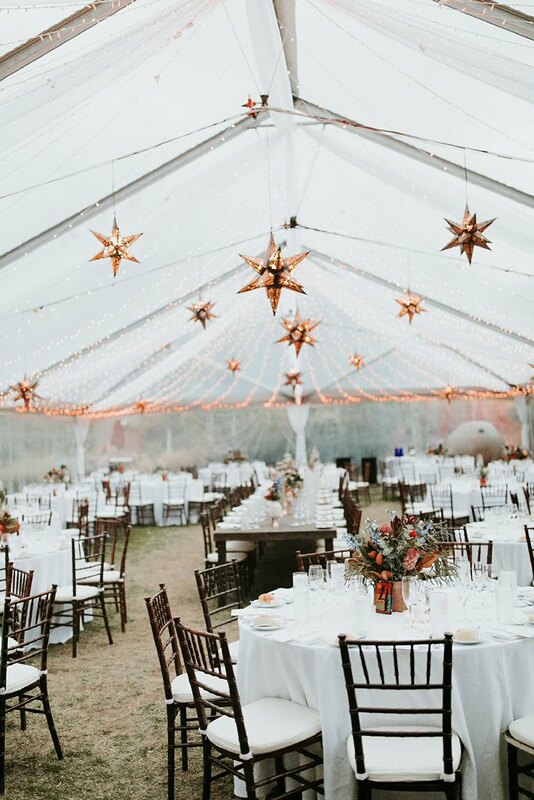 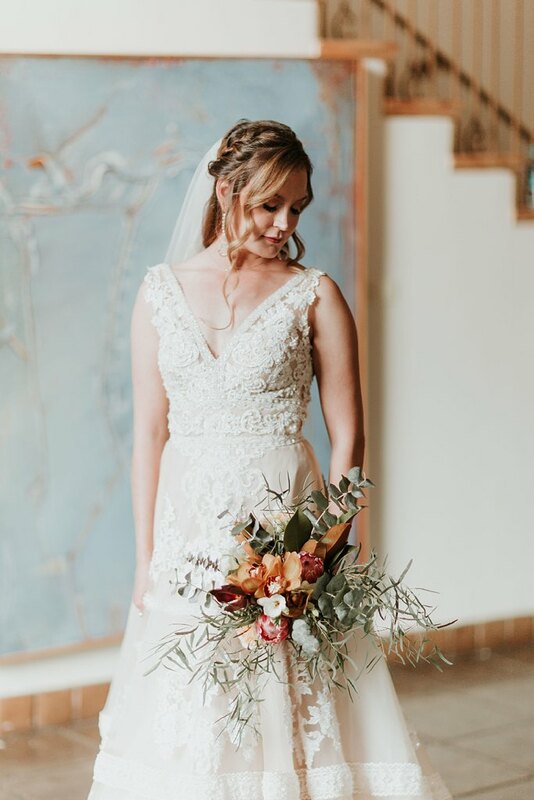 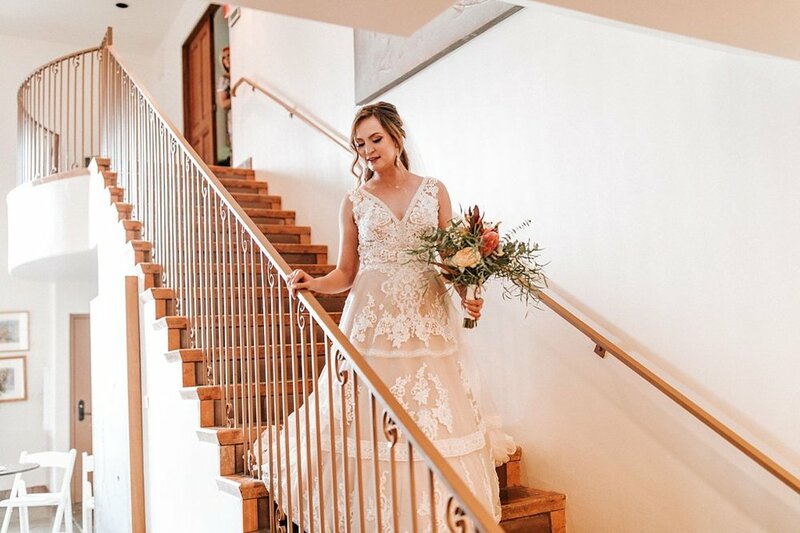 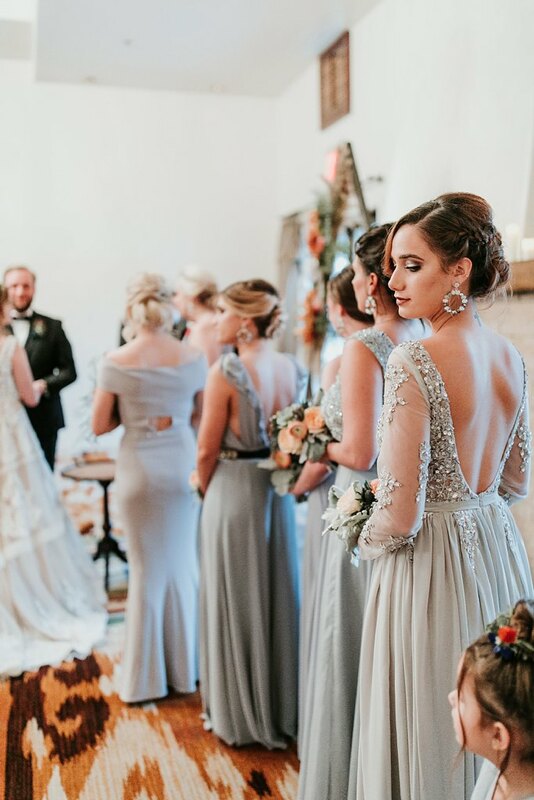 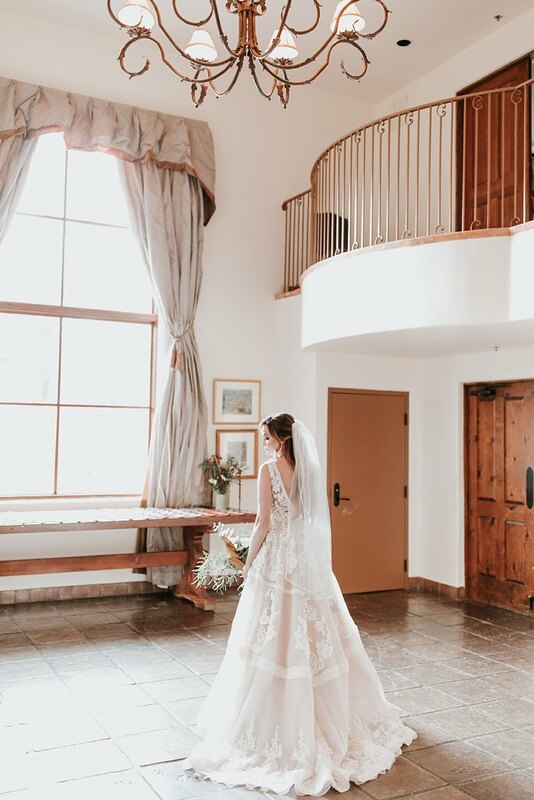 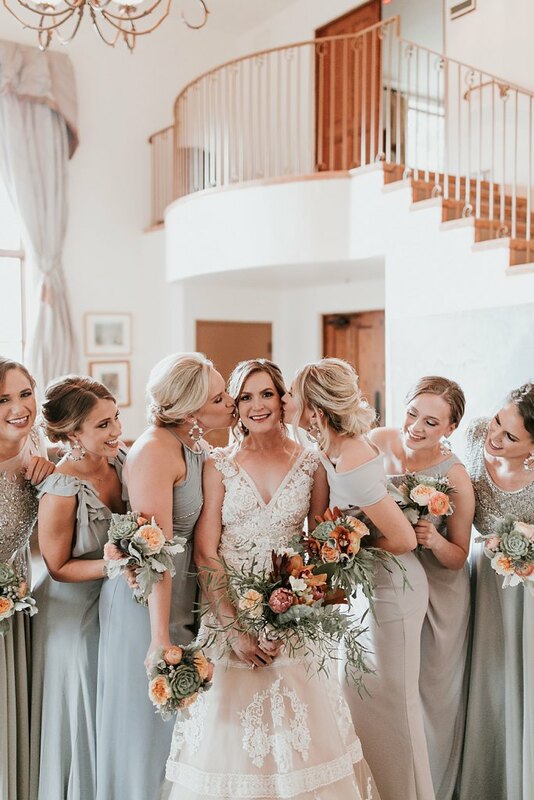 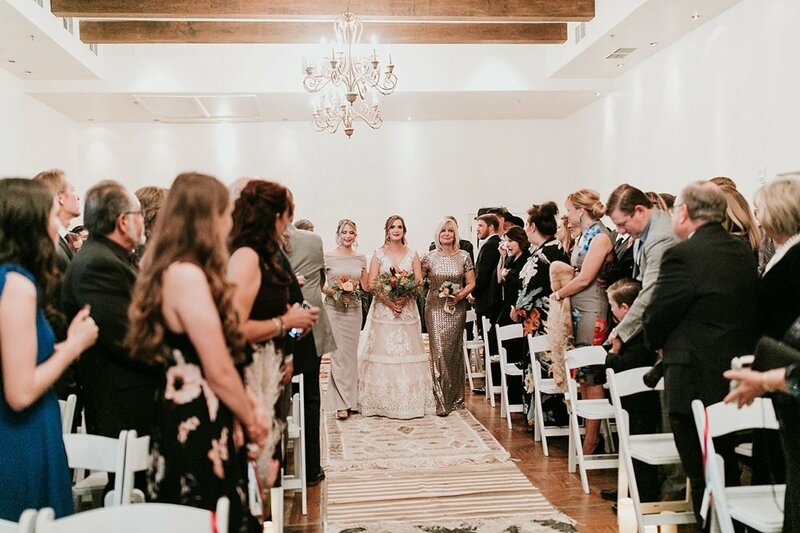 For choosing a wedding location, Cassie and Tyler settled on the ever enchanting Santa Fe since Cassie had been coming on weekend getaways to the capital city since she was a little girl. 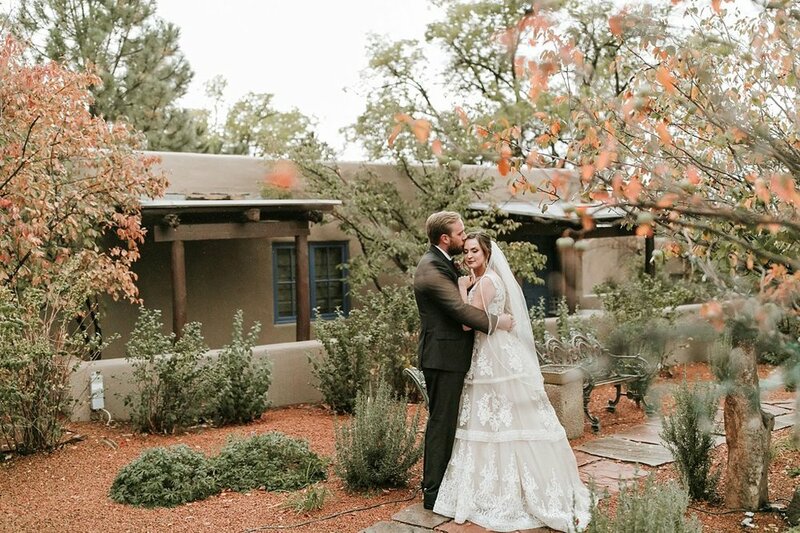 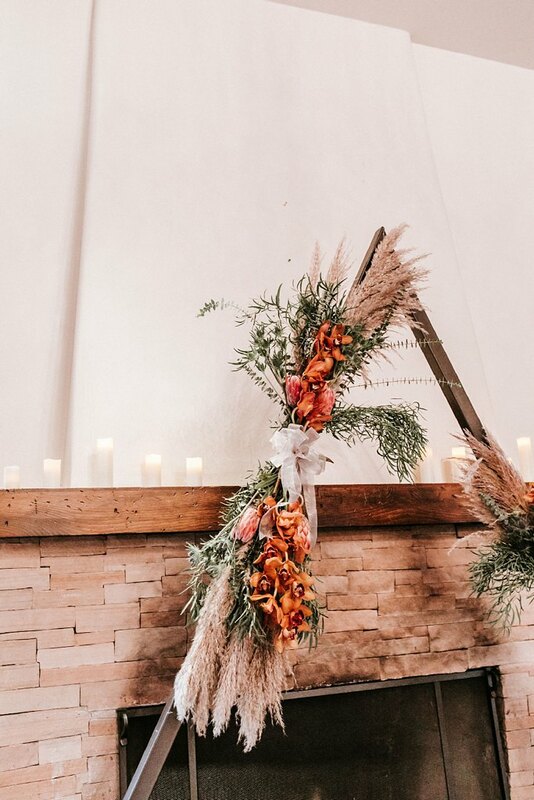 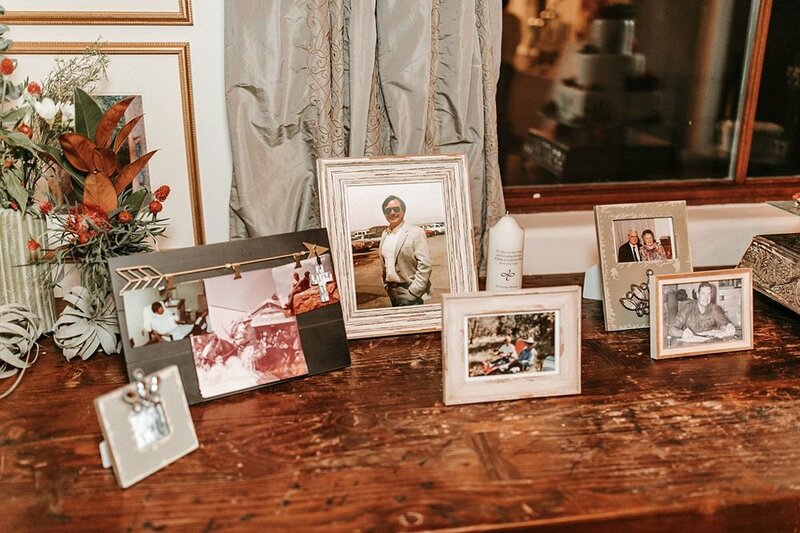 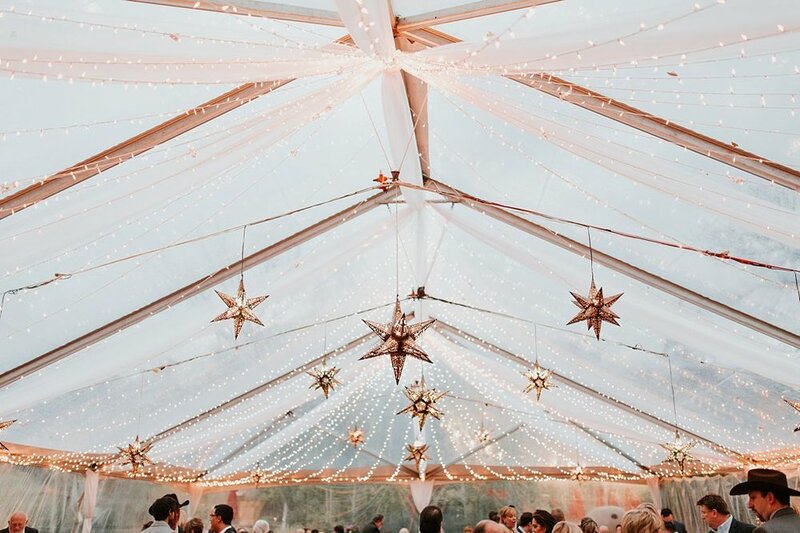 And La Posada turned out to have the perfect aesthetic for their glam, yet cozy wedding. 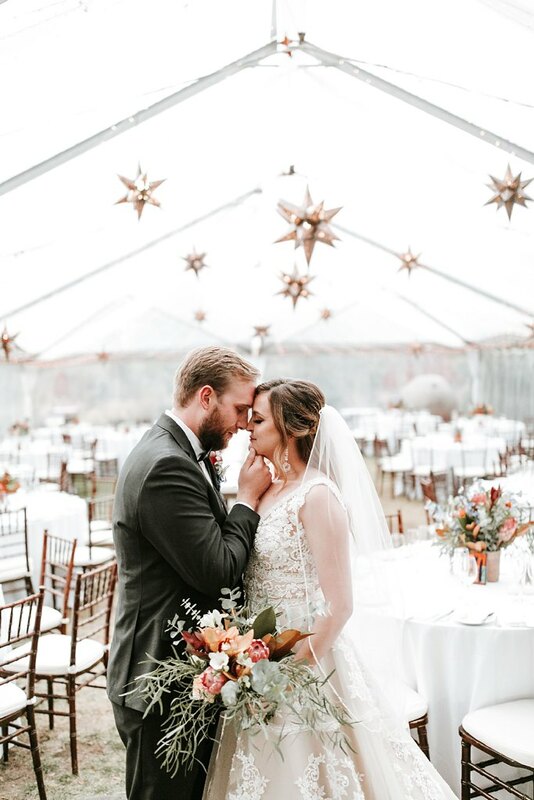 Flash forward to mid-October when these lovers said “I do” surrounded by their friends and families. 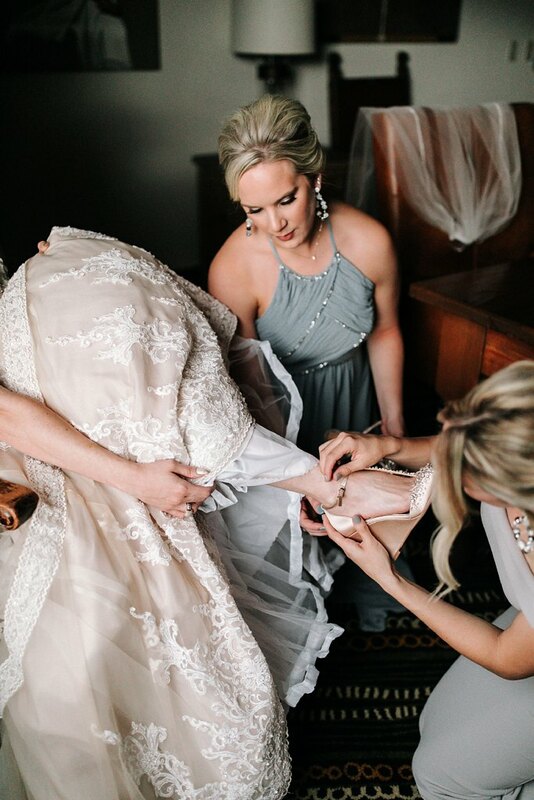 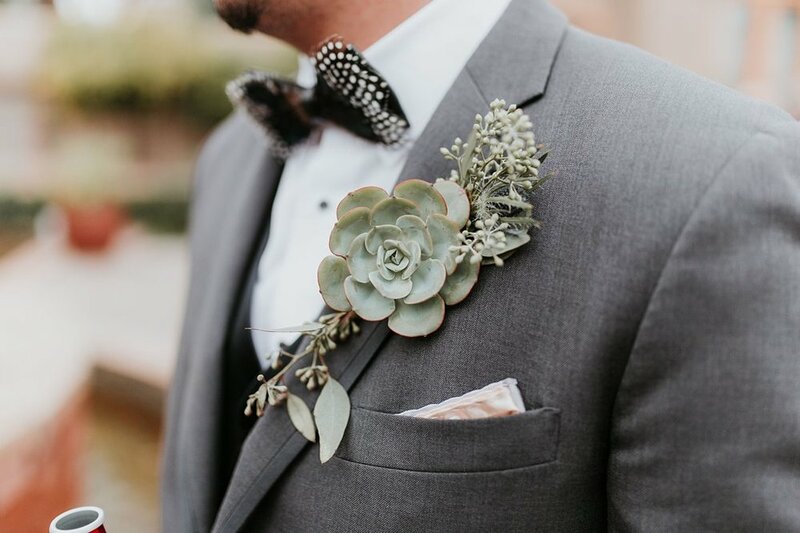 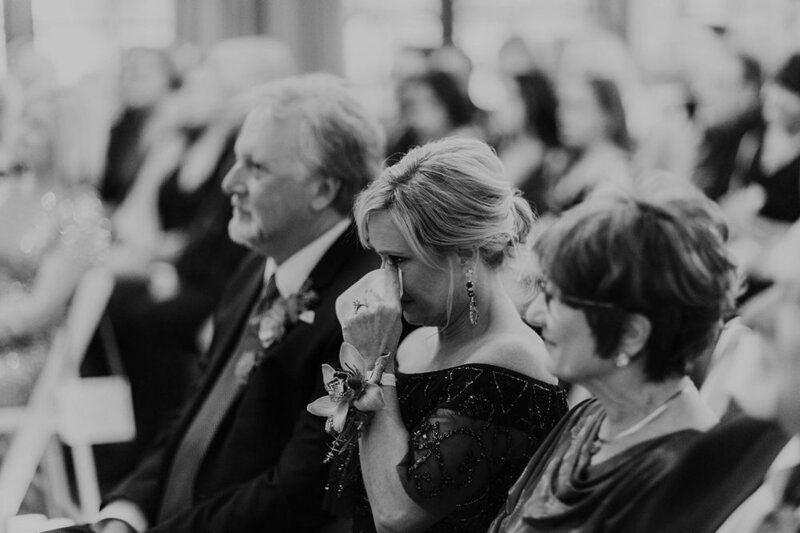 Besides an incredible ceremony, we can’t get over the details from this day. 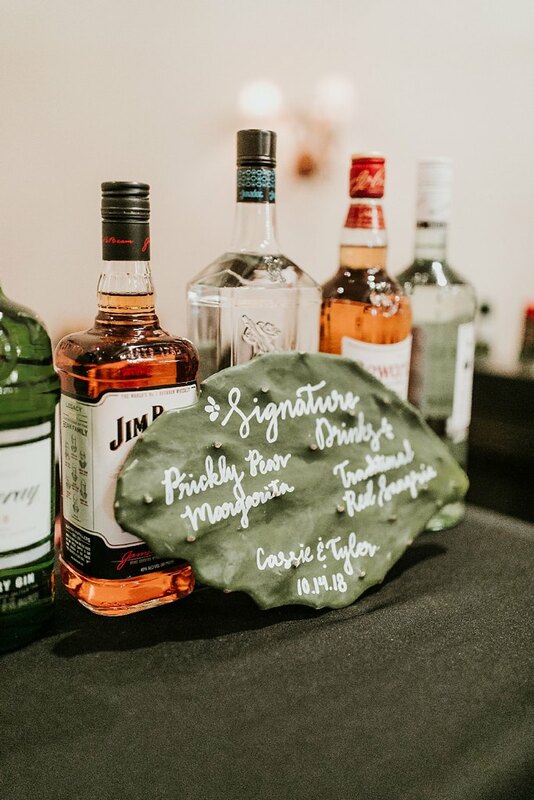 Tyler and Cassie incorporated touches of the Southwest into their day including an epic succulent cake (by the queens at Maggie’s Wedding Cakes) to hand painted tiles (that the Just Lovely Weddings team created) to dreamy star lanterns (that seriously reminded us of New Mexico’s gorgeous star filled nights). 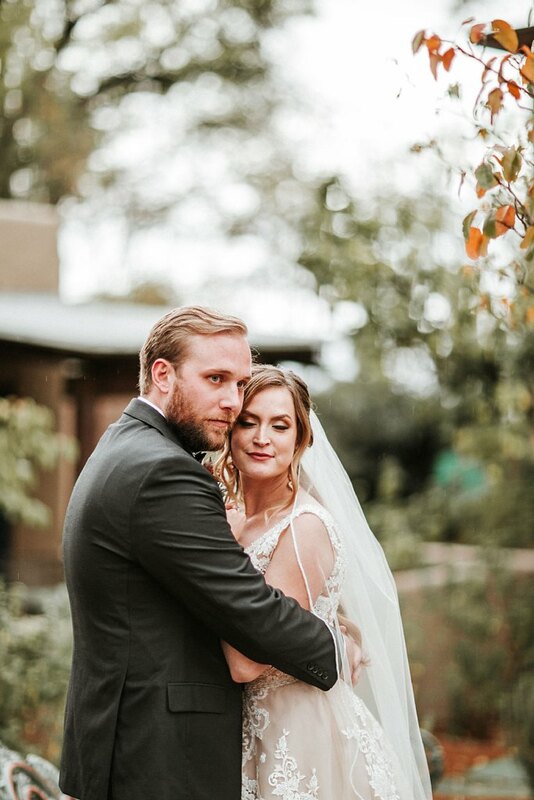 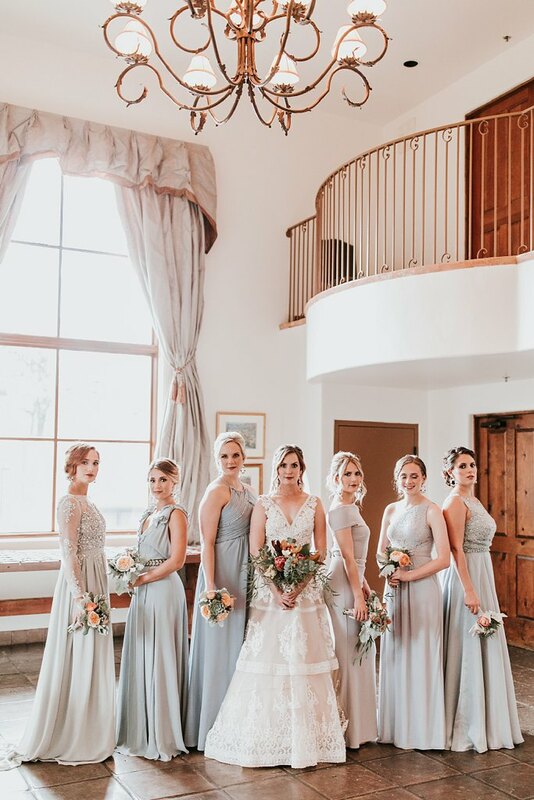 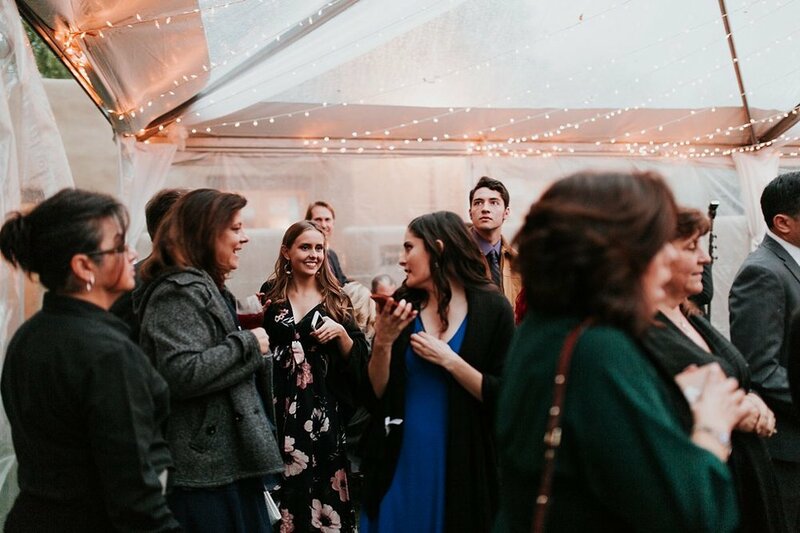 And even though it was a little bit cold outside, these babes were totally up for romantics both outside in La Posada’s amazing courtyards and inside the infamous Staab house. 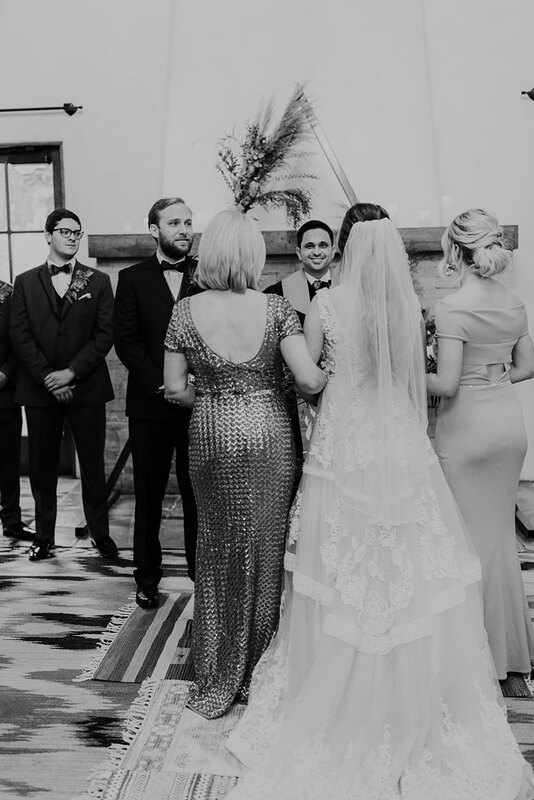 Congrats Tyler and Cassie, you raised the bar for amazing little Sunday weddings. 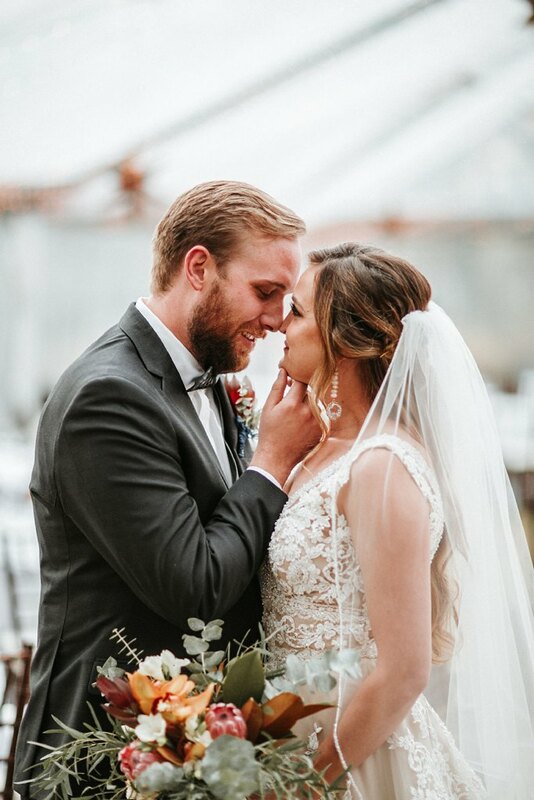 We adore you both so much!